He's one of the hottest playwrights in London right now - three of his plays (Ink, Labour of Love and Quiz) have been staged in the West End in the space of a year. Now James Graham is giving eight emerging playwrights a stage. Selected from 800 applications, the eight writers each submitted an untold story in which London plays a starring role. Updating Dickens for today, Graham and director Thomas Hescott have taken the Victorian novelist's first novel, Sketches by Boz, as a starting point and tasked the writers with creating the heroes and villains, the invisible people and characters who inhabit London today. 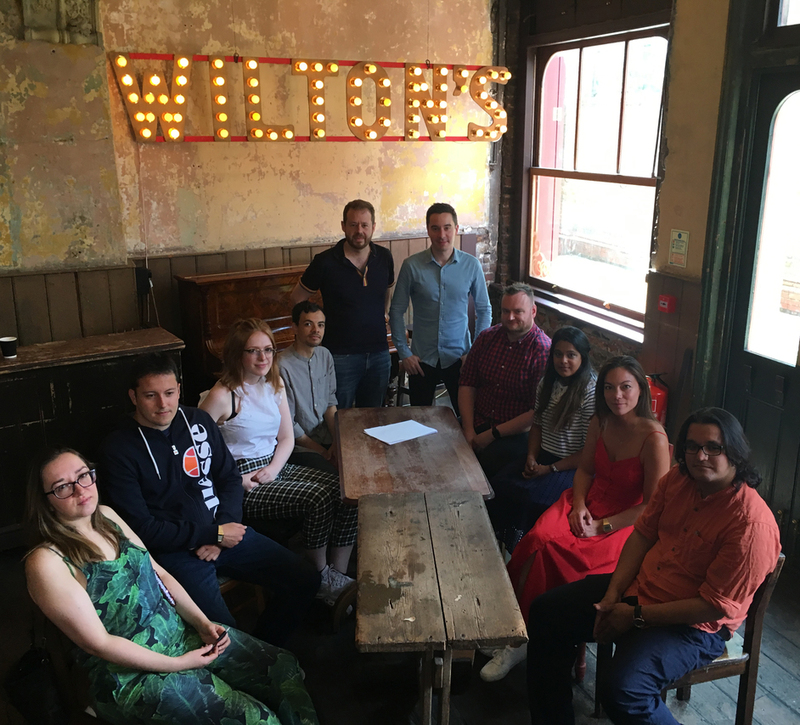 Written by Aaron Douglas, Chloe Mi Lin Ewart, Alan Gordon, Adam Hughes, Ella Langley, Himanshu Ojha, Sumerah Srivastav and Naomi Westerman as well as James Graham, who brings all nine stories into a cohesive play, it's an exciting prospect. In this exploration of 24 hours in London you'll discover the city's secret spaces, meet drag queens and squatters and hear an intriguing story about keys and hidden doors. The choice of venue - the atmospheric Wilton's Music Hall in Tower Hamlets - is no accident. The very walls are seeped in history (if only they could talk) but it's the first time a piece of new writing has been staged here. What a way to make history. What are the best dining options near James Graham's Sketching London? James Graham's Sketching gyms, sporting activities, health & beauty and fitness. The best pubs near London James Graham's Sketching. James Graham's Sketching clubs, bars, cabaret nights, casinos and interesting nightlife. Where to have your meeting, conference, exhibition, private dining or training course near James Graham's Sketching. The acclaimed singer performs her original compositions including songs from her album Fugue To The Floating World. Viviana Durante directs a new staging of Kenneth MacMillan's ballet based on Kurt Weill and Bertolt Brecht's dance piece. It has been developed in association with Deborah MacMillan and stars cabaret performer Meow Meow and Royal Ballet principal Laura Morera. The rocking five-piece sea shanty band present a rousing night mixing classics with sea-faring folk compositions. From cheap budget accommodation to luxury 5 star suites see our discounts for Wilton's Music Hall hotels, including Grange Tower Bridge Hotel from 86% off.